These cartoons from the Iranian press show just how bad you can get. Yes, I believe that newspapers there or elsewhere have the right to publish this. As I have said before, I believe that freedom of expression does give a person the right to be a jerk just so long as the expression does not extend to violence and the curtailing of others' rights. 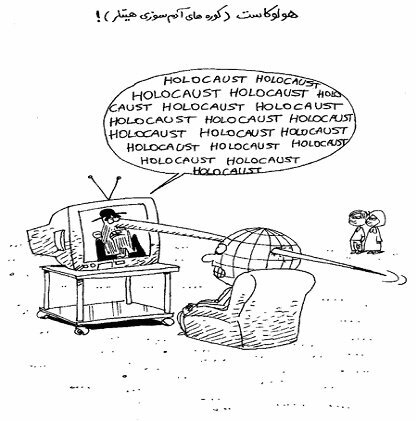 Where is your outrage over anti-Semitic cartoons? Or anti-Christian cartoons? I say your silence demonstrates your profound hypocrisy. And could your silence also come from the fact that you fear violence from offended Islamic extremists, but not Jews or Christians?